Stone Street offers the best happy hour specials down in the Financial District. 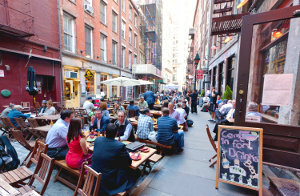 From April 1st through the end of November, Stone Street blocks off traffic and becomes a drinker's paradise. 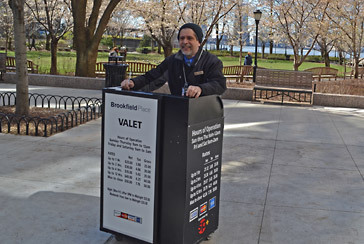 Each night, local businessmen and visitors line the street for local and exotic drafts and small bites from notable pubs on the block including the Stone Street Tavern, Beckett, and Ulysses'. 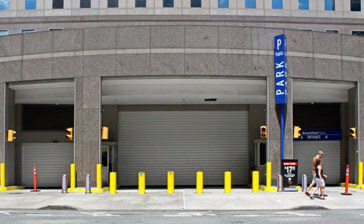 Convenient parking is available near Stone Street in the Financial District. 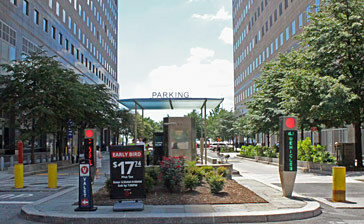 Click on a location name for parking information.